You must have noticed the ongoing construction on Pelham Street at Churchill in Downtown Fonthill. This private-sector work – renewing the building and adding apartments – is part of the general revitalization and redevelopment of Pelham’s private and public realms in our Downtowns. You may recall that a decade ago the Downtowns in both Fonthill and Fenwick were tired and drab. Quite frankly, they did not reflect our vibrant community and they needed desperate renewal. Encouraged by the Pelham Business Association that the Town take action, I called together a community meeting in the spring of 2007. At that meeting, dedicated residents and business owners stepped forward to establish an ad hoc, community-based committee to help advance Downtown revitalization. 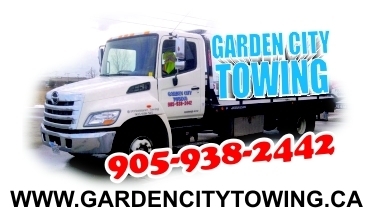 Shortly thereafter, those citizens approached Council to become an official Town committee – the Downtown Beautification Committee. streets, sidewalks and parking. Council followed through on these elements. the end of this considerable work. spring, it was my honour to accept a Regional award recognizing excellence in that reconstruction. Third, we worked very closely with the community from 2007 to 2010 to develop design guidelines and an incentive program to encourage upgrades to private properties. We not only developed grants to encourage façade improvements, but to also increase the number of residential units. 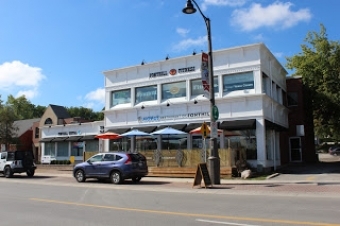 The renovation and construction at Churchill and Pelham Street is the tenth property in Downtown Fonthill to take advantage of these incentive programs. 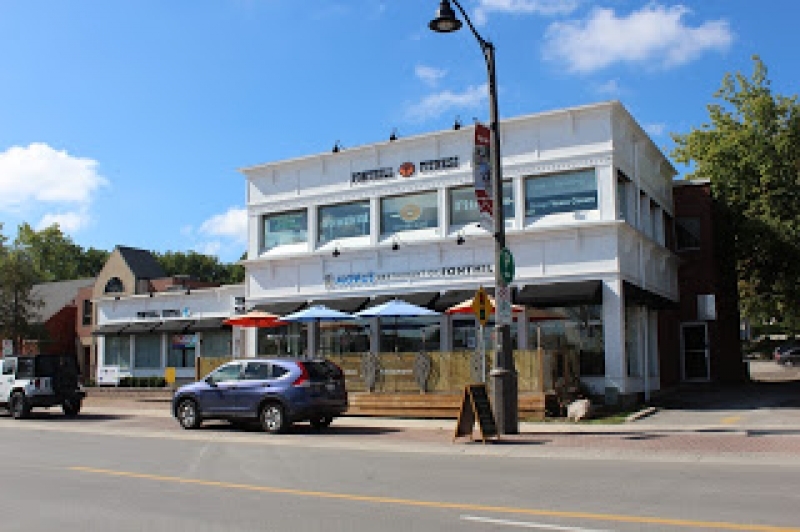 Others include: Volcano’s Pizza; Zest Restaurant; Fonthill Inn; U-Turn Décor & More; Pelham Street Grille & Goods Sports Excellence; Mokus Restaurant, Fonthill Fitness & Fonthill Dental Clinic; and Strut. Together, these represent nearly one-third of all the buildings in the downtown-district on Pelham Street! A few years ago the Region studied the benefit of these type of programs and found that for every dollar invested or deferred in a Niagara downtown, the incentives generated nine dollars in private sector investment. We are pleased to see similar investments in our Downtowns. Council and I will continue to promote and fund these programs so that we might further encourage vibrant downtowns.